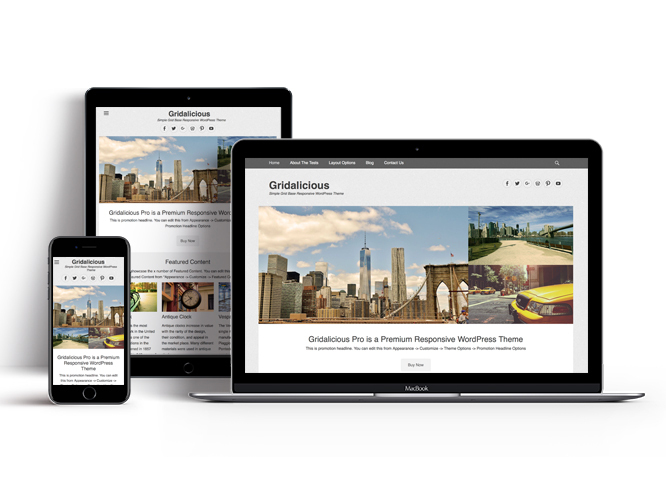 Gridalicious is a Simple, Clean, Grid Base, Free Responsive WordPress Theme which automatically adapts to the screen’s size, ensuring that your content is always displayed beautifully no matter what device visitors are using. 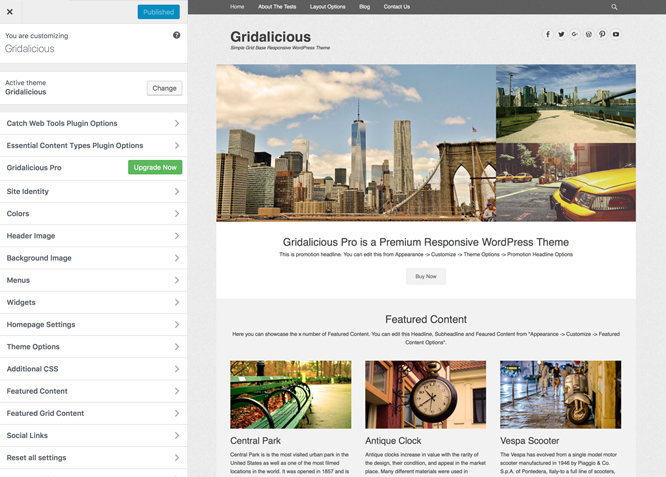 It is based in HTML5, CSS3 and WordPress Theme Customizer for real time customization. This theme is translation ready. 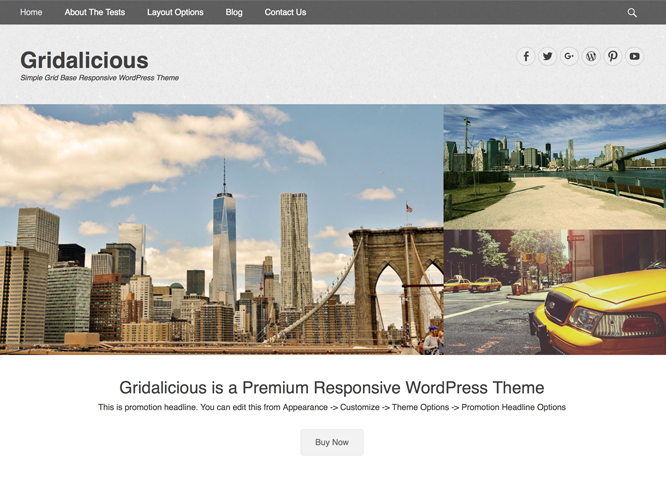 For more details check out Theme Instructions. Renamed "custom_meta_box_nonce" renamed to "gridalicious_custom_meta_box_nonce"